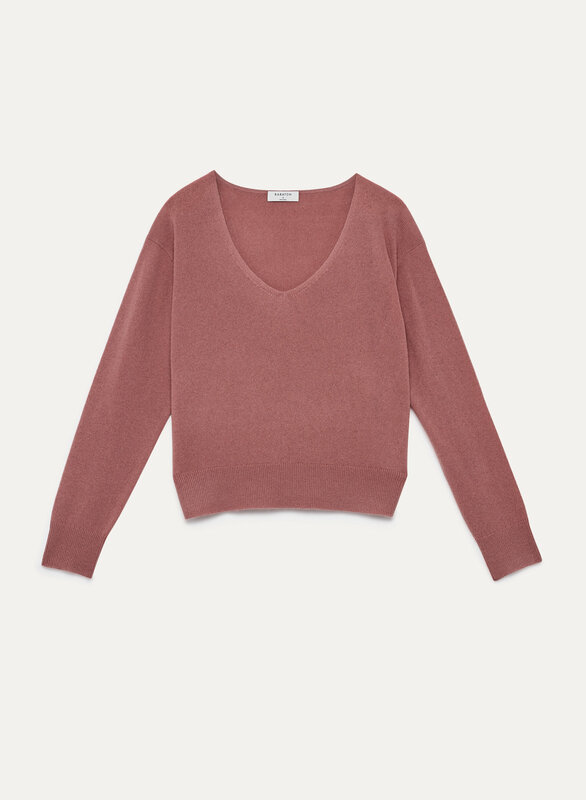 A study in modern comfort, this easy cropped sweater is made from warm Italian wool-cashmere blend fabric — it's been finished with a special processing technique for subtle luster. It fits well and looks good, I have this in heather grey es. Love the sweater, the color is perfect and it is very warm. Size up since it wears pretty loose. I got the XS because they did not have XXS.